Regular readers of this blog are aware that Uganda has both an amnesty law in force since 2000 as well as an International Crimes Division (ICD) at the High Court which is able to try crimes, including war crimes, crimes against humanity and genocide. The 2000 Amnesty Act is broad, essentially granting ‘blanket amnesty’ for all crimes committed during rebellion if the reporter agrees to renounce armed struggle. Despite the Amnesty Act being in force, the Department of the Public Prosecutor (DPP) in Uganda charged a mid-level commander of the LRA, Thomas Kwoyelo, with crimes against humanity under the Geneva Convention. JiC has reported extensively about the trial in the past, you find all the articles here. Despite several court rulings that Kwoyelo has a legal right to receive amnesty and should be set free, the DPP argued that amnesty is not applicable for crimes against humanity. 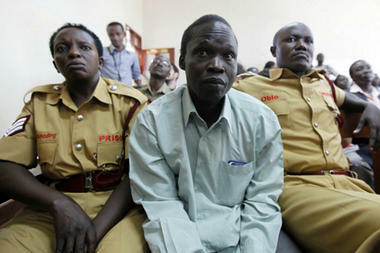 In violation of these court rulings and due process, Kwoyelo remains in jail at Luzira Prison, Kampala. The Government of Uganda (GoU) has not taken a clear position concerning the Kwoyelo case and the clash between the blanket amnesty and the existence of a Court Division able to try international crimes. Therefore the upcoming review of the Amnesty Act in May 2012 has been anticipated with uncertainty and curiosity by observers. Will the GoU move away from the past amnesty approach and give in to the DPP that had stated it wanted to bring more charges against former LRA rebels? Or would it uphold the amnesty approach followed since 2000? Now the Deputy Speaker of the Ugandan Parliament, Jacob Oulanyah, announced on Saturday 14th of April in Gulu that the extension of the Amnesty Act for two years is a done deal and that the law just waits being gazetted. (Thanks to Sharon Nakandha from Avocats sans Frontières Uganda for forwarding the article). This has some important implications for the way forward in transitional justice in Uganda. It is important to acknowledge that the Amnesty Act was passed with strong civil society pressure from northern Uganda. 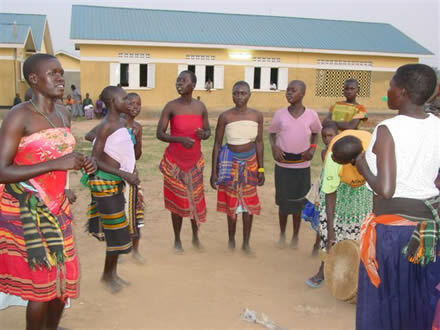 Many northern Acholi see the LRA rebels as their abducted children and want them to lay down arms and return home. According to a survey conducted by the Justice and Reconciliation Project (JRP) in December 2011 98 per-cent of the northern population believe that the amnesty is still relevant and should not be abolished. Abolishing the amnesty would thus go against the wishes of the formerly war affected population in northern Uganda. President Museveni has no reason to alienate his northern constituency (he received a majority in northern Uganda for the first time in the 2011 elections) by attacking a law that many see as very useful. According to recent figures from the JRP survey, 22,520 rebels have taken amnesty so far – 48 per-cent of them LRA members. Abolishing the amnesty law now would not have revoked those amnesties but, in the context of the ongoing detention of Thomas Kwoyelo, it would surely have stirred fears among LRA returnees. In my interviews with LRA officers in northern Uganda their fears of being tried years after they returned from the bush, be it by the ICC or the ICD, was very tangible. The fact that the amnesty was prolonged is also important for the military efforts to combat the LRA in the DRC, Central African Republic and South Sudan as it ensures that the formerly abducted fighters have a way out. The Amnesty Act can thus contribute to weaken the LRA by luring out fighters from the ‘bush’. Yet, the fact that the Amnesty Act will apparently simply be prolonged without any changes also means that Uganda’s national concept for transitional justice remains incoherent and contradictory. Uganda has a blanket amnesty in place that covers any and all crimes, a notion that is on the retreat in international law. Many would indeed even argue that a blanket amnesty is not acceptable in international law: The Inter-American Court for Human Rights ruled so famously in its Barrios Altos case and the UN has instructed its envoys to not endorse blanket amnesties in peace negotiations. Yet, under Uganda’s Amnesty Act even Joseph Kony himself would have a right to receive amnesty. At the same time, Uganda created a Division that is capable of trying these crimes but will not be able to do so as long as the amnesty remains in place in its current form. The GoU could have solved this problem and brought the Amnesty Act into line with international standards. According to the Amnesty Act the Parliament of Uganda has the power to revoke the amnesty for individuals on request of the Minister of Defence. It would thus be theoretically possible to revoke the amnesty for the LRA Commanders most responsible for war crimes and crimes against humanity. Museveni had threatened several times to exclude the LRA commanders from amnesty only to then publicly ask Kony and his Commanders to accept the amnesty offer of the government. The Ugandan High Court even explicitly ruled in October 2005 that amnesty remains available for the LRA commanders. These inconsistencies may re-emerge in the future as the GoU once again failed to clarify its stance. If Joseph Kony was arrested tomorrow, the GoU would be caught between its constitution and the amnesty law on the one side, and its international legal obligations to surrender Joseph Kony and his key commanders to the ICC on the other side. It is also strange that the GoU apparently did not wait for a report of the Transitional Justice Working Group of the Justice Law and Order Sector (JLOS) of the Government in which JLOS would have published its results of conducting surveys about the amnesty and traditional justice in all of Uganda. The Transitional Justice Working Group is charged with developing a coherent concept for transitional justice in Uganda, presumably providing for a comprehensive approach including amnesty, traditional justice, a truth commission and trials. The JLOS plans are impressive on the paper and could provide a blueprint for transitional justice concepts in post-conflict areas (see here for details). Why did the decision makers not wait for this valuable feedback before deciding whether and how to prolong the Amnesty Act? One can only hope that the final suggestions of the Transitional Justice Working Group will be taken more seriously for the sake of a coherent and comprehensive approach towards transitional justice in Uganda. This entry was posted in Amnesty, Kwoyelo Trial, Lord's Resistance Army (LRA), Traditional Justice Mechanisms, Transitional Justice, Uganda and tagged Amnesty, Amnesty Act, extension amnesty, Joseph Kony, Kony, Kwoyelo, LRA, LRA returnees, Museveni, Oulanyah, Uganda, Uganda Amnesty. Bookmark the permalink. Government of Uganda and western allies are responsible for committing atrocities to citizen of Uganda, that is why there is resistance. Uganda govt committed atrocities in Rwanda, Congo and CAR, S Sudan, Somalia and Irag how can it give amnesty to its victims?. Talk to the victims. The Ugandan Department of Prosecution’s decision to charge Kwoyelo seems consistent with Uganda’s International legal obligations. After signing and ratifying the Rome Statute of the International Criminal Court, Uganda has in effect agreed that perpetrators of certain crimes (core crimes) can no longer be subject to amnesty because the Rome Statute overrides existing national laws that would negate its implementation. The ratification of the Rome Statute does not discourage the amnesty process, hence, any hasty proposals to terminate the program seems a separate issue, but definitely one worth following as I agree it serves for an important process in Uganda going forward. Truth and reconciliation not only has traditional ties in many African nations, but also is practicle, particularly in the absence of other forms of justice; however, it must be remembered that even with the notable success of the TRC in South Africa, examples such as Eugene De Kok exist to demonstrate that amnesty must have limitations. This is what is wrong with the world. Kony is real! This has been going on since the 1980 s. No matter why or how Kony got so much power, he is pure evil!! My son had me watch the video on Wednesday and there was alomst 10 million hits. Today, there is alomst 60 million hits and 100 web sites selling merchandise and 100 other web sites questioning the integrity of the movement. I am going to participate in the movement with my 14 year old son. Remember All that is necessary for the triumph of evil is for good men to do nothing! wonderful post, very informative. I’m wondering why the opposite experts of this sector don’t realize this.